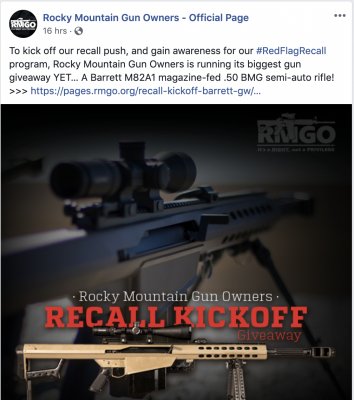 “[Gardner] has been a chamber guy from day one, and he runs with Mitch McConnell,” shouted Chuck Bonniwell, a Republican talk radio host who’s also the publisher of the Cherry Creek/Glendale Chronicle. Wadhams continued to criticize Trump and try to convince Bonniwell that Gardner, while imperfect, is a good Republican who deserves GOP support. BONNIWELL: Of course you are! Because he deserves it! WADHAMS: No, he doesn’t. He doesn’t. BONNIWELL: And the truth hurts! The truth hurts. WADHAMS: Is he a perfect perfect Senator? No. But you know what? He has been there time after time. Wadhams tried to make the case that Republicans won’t find a better candidate than Gardner. WADHAMS: Is there any other Republican who can win a general election in 2020 — other than Cory Gardner — for the United States Senate? [It’s a] very specific question. Answer it! BONNIWELL: Is anybody going to have the money he’s going to have from the U.S. Chamber of Commerce? WADHAMS: I ask again, do you think–? 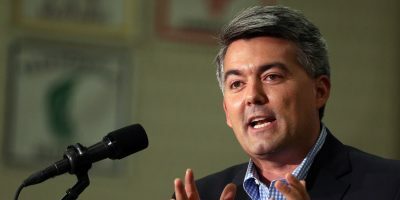 BONNIWELL: If you give him the money — if you give somebody good the money of Cory Gardner–. WADHAMS: And who is ‘somebody good?’ I mean, let me hear this wonderful candidate. Bonniwell eventually suggested that Gardner be replaced by GOP State House Minority Leader Patrick Neville of Castle Rock. Or his father, State Sen. Tim Neville (R- Littleton), who was trounced out of office on last week. The conversation went up and down from there. But to get a real understanding of it, you have to listen to the audio below. Better than any book or TV show you can find, the audio exposes in 10 minutes the tinder-box state of the Republican Party both in Colorado and nationally. PARTIAL TRANSCRIPT OF WADHAMS’ APPEARANCE ON KNUS 710-AM’S CHUCK AND JULIE SHOW NOV. 12. WADHAMS: I like Trump. I like the tax cuts. I like the judicial nominations. I like deregulation. I like his defense of Israel. I like so many things about Donald Trump. WADHAMS: But dammit! He is a liability here in Colorado, and if you want to stick your head in the sand, Chuck, and decide that we can somehow get around that in this election, you’re wrong! 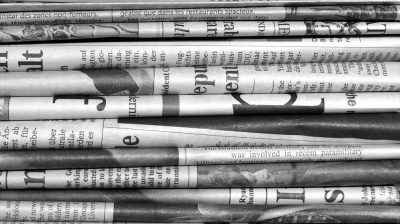 BONNIWELL: So, what do you recommend for Cory Gardner? To do the Mike Coffman routine? [facetiously] Why doesn’t he do the Mike Coffman routine? WADHAMS: No! No! Well, no! Let’s talk about Cory Gardner. WADHAMS: What has Cory done as a U.S. Senator? WADHAMS: [00:00:41] He voted [for] and publicly defended — day in, day out — the two nominations for the Supreme Court, Kavanaugh and Gorsuch. Yes, he did! BONNIWELL: [00:00:47] [unintelligible] OK. Where was he? I saw where Lindsey Graham was! Here, this is Cory Gardner! [plays audio from “Meet the Press” with Chuck Todd]. WADHAMS: [00:00:58] That’s a whole different issue, Chuck! Shut that off! Shut it off, because it makes no difference. That is not –. HAYDEN: [00:01:05] [laughs in the background]. HAYDEN: [00:01:07] Here, you can set it –. Here, I’m going to shut Chuck’s mic off and let–. BONNIWELL: [00:01:08] No, you’re not. WADHAMS: [00:01:08] May I continue? Or do you not want to hear what Cory Gardner has been doing for Donald Trump? BONNIWELL: [00:01:13] Oh, yeah, tell us about Cory Gardner. WADHAMS: [00:01:13] Okay, he voted for, and was a day in, day out defender of the tax cuts. He has been a defender of deregulation. He’s been the defender of Trump’s foreign policy. So, tell me, where has Cory fallen down, as U. S. Senator for Trump? BONNIWELL: [00:01:28] Okay! Open borders! He’s a total [whore] for the Chamber of Commerce. WADHAMS: [00:01:33] Oh, give me a break! BONNIWELL: [00:01:34] He is owned and operated by the Chamber, and Mitch McConnell! He’s a Mitch McConnell stooge. WADHAMS: [00:01:35] So, one issue. One issue? WADHAMS: [00:01:35] And by the way, he’s not for open borders. He’s not for open–. BONNIWELL: [00:01:35] How about tariffs? He is for open borders! WADHAMS: [00:01:43] He has been critical of the tariffs. BONNIWELL: [00:01:46] Yes! He has been a Chamber guy from day one and he runs with Mitch McConnell. WADHAMS: [00:01:50] Well, why don’t you talk to all these small businesses and farmers and ranchers in Colorado who are being hurt by those tariffs? BONNIWELL: [00:01:54] Well, okay! So, let’s screw the middle class! Let’s do a globalist agenda and destroy the middle class! WADHAMS: [00:02:01] Yeah, well, — well, let’s keep–. BONNIWELL: [00:02:01] What would you think about what they did to Ohio, and Pennsylvania, and Wisconsin? WADHAMS: [00:02:07] Chuck, let’s keep talking about Cory Gardner. I want to ask right now. Are you going to oppose him for re-election? BONNIWELL: [00:02:11] I hope somebody runs aga–. Am I going to oppose him? No, I’m going help him with the same enthusiasm I did Walker Stapleton, which is I’ll hold my nose, I’ll puke, because he is a traitor to everything he held with 2010. I remember,– just like Coffman! You know what Coffman did to me? He came up to me and said, “You know, Tom Tancredo–.” This is back when he first ran. WADHAMS: [00:02:28] I don’t want to talk –. BONNIWELL: [00:02:30] Oh, come on! WADHAMS: [00:02:30] We’re talking about Gardner, for God’s sake! BONNIWELL: [00:02:31] It’s the same person! It’s the same person! WADHAMS: [00:02:34] No! Okay, so, if he’s opposed in the primary, are you going to vote for his opponent? BONNIWELL: [00:02:38] Oh, God, yes! Oh, anybody! WADHAMS: [00:02:39] Really? Do you think anybody else can win that seat, other than Cory Gardner? WADHAMS: [00:02:49] No, no, no, no, no! Is there any other Republican who can win a general election in 2020 — other than Cory Gardner — for the United States Senate? [It’s a] very specific question. Answer it! BONNIWELL: [00:02:56] Is anybody going to have the money he’s going to have from the U.S. Chamber of Commerce? WADHAMS: [00:02:59] I ask again, do you think–? BONNIWELL: [00:03:03] If you give him the money — if you give somebody good the money of Cory Gardner–. WADHAMS: [00:03:05] And who is ‘somebody good?’ I mean, let me hear this wonderful candidate. BONNIWELL: [00:03:09] Who is somebody good? I don’t know. You know the Republicans. WADHAMS: [00:03:10] Yeah! Gee, isn’t that intertesting? You can’t name the candidate. BONNIWELL: [00:03:11] You! You ought to–. WADHAMS: [00:03:11] Let me tell you, the future of this Party —. 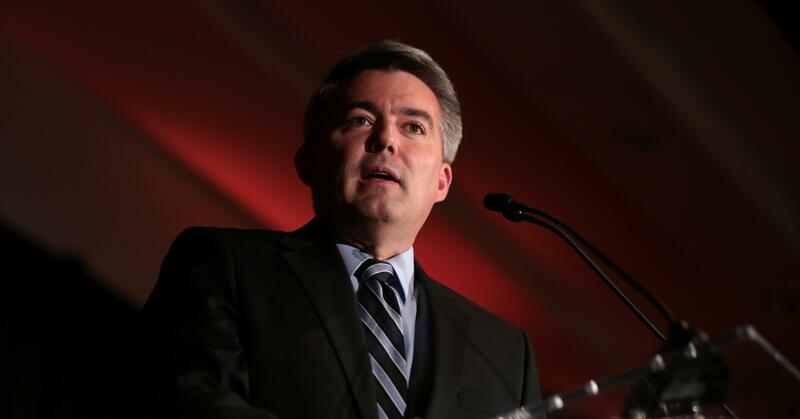 And I’ve got to tell you, I am frankly tired of people crapping on Cory Gardner, because –. BONNIWELL: [00:03:20] Of course you are! Because he deserves it! WADHAMS: [00:03:22] No, he doesn’t. He doesn’t. BONNIWELL: [00:03:23] And the truth hurts! The truth hurts. WADHAMS: [00:03:24] Is he a perfect perfect Senator? No. But you know what? He has been there time after time. And if–. BONNIWELL: [00:03:30] Was he there for the Republican Party in Alabama, when he threatened to take their vote and quash it? WADHAMS: [00:03:33] Oh, for a guy who hits on young girls? Oh, you bet! BONNIWELL: [00:03:33] Oh! [facetiously] Yeah, you don’t want that! No, you don’t want any heterosexuals anymore! WADHAMS: [00:03:42] Geez! Oh, my gosh. Oh, my gosh. BONNIWELL: [00:03:44] Hits on younger women! Oh, my gosh! How about Elvis and everybody else? WADHAMS: [00:03:47] Boy, I’m sure glad we’re we’re basing our decision on Cory Gardner on one state with a flawed Republican candidate. BONNIWELL: [00:03:52] That he destroyed. HAYDEN: [00:03:55] Let me — now — I get to talk! BONNIWELL: [00:03:55] Well, thank God — that’s the Republican Party! The Establishment wants to destroy everybody that doesn’t go with their deal! WADHAMS: [00:04:00] I want to know. You don’t like Cory. Tell me the person who would be a better candidate to win a U.S. Senate race in 2020. Who is it? BONNIWELL: [00:04:08] I don’t know. Pick out some Nevilles! WADHAMS: [00:04:09] Well, wait a minute! You have been trashing Cory Gardner for a year! BONNIWELL: [00:04:09] Pick a Neville! Patrick Neville! Patrick Neville! WADHAMS: Patrick Neville? Are you starting the Patrick Neville draft program now? BONNIWELL: Yeah! He’d be great! You hate him, too? WADHAMS: I like Patrick Neville. WADHAMS: I do, too. I’ve known the family for years. They’re neighbors of mine! BONNIWELL: [unintelligible] for you! You can’t stand him! You haven’t known the family for years! BONNIWELL: Tim has got lot’s of time on his hands. He’s a great conservative! HAYDEN: Look at all the phones going! This topic contains 0 replies, has 1 voice, and was last updated by Jason Salzman 5 months ago.